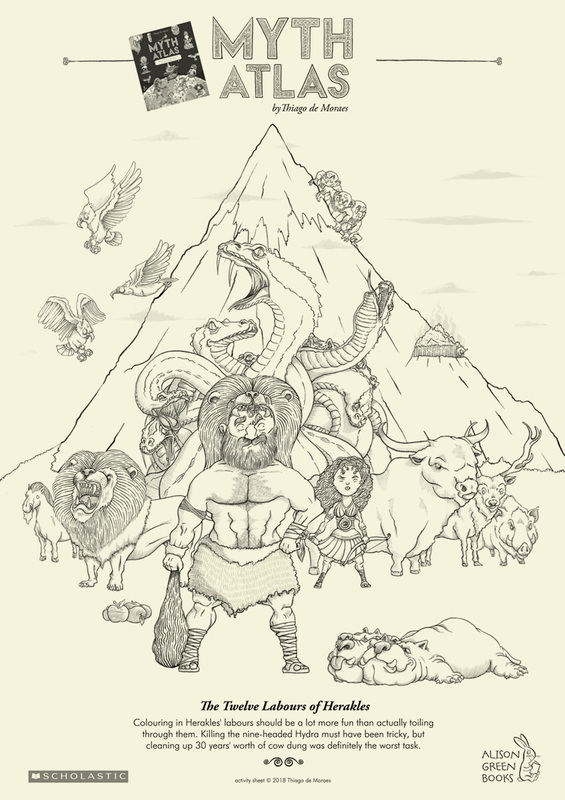 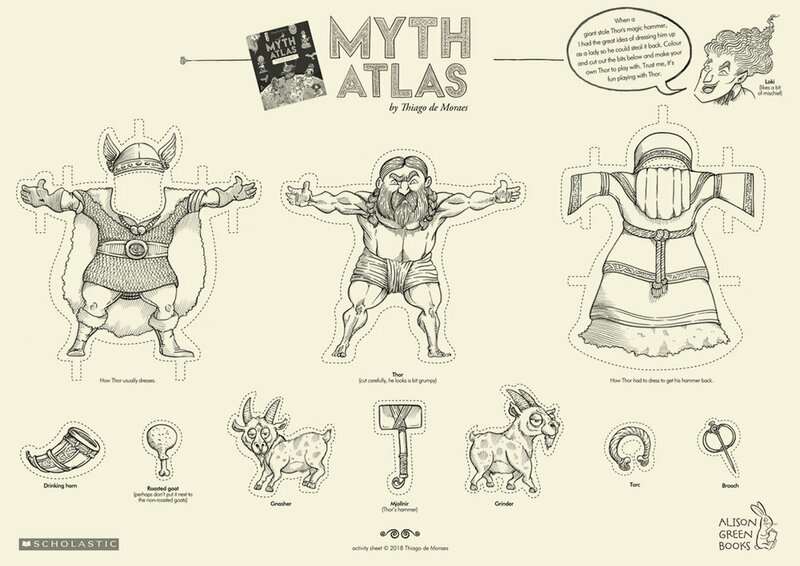 Myth Atlas has maps, monsters, heroes and gods from twelve mythological worlds, from cultures all over the globe. 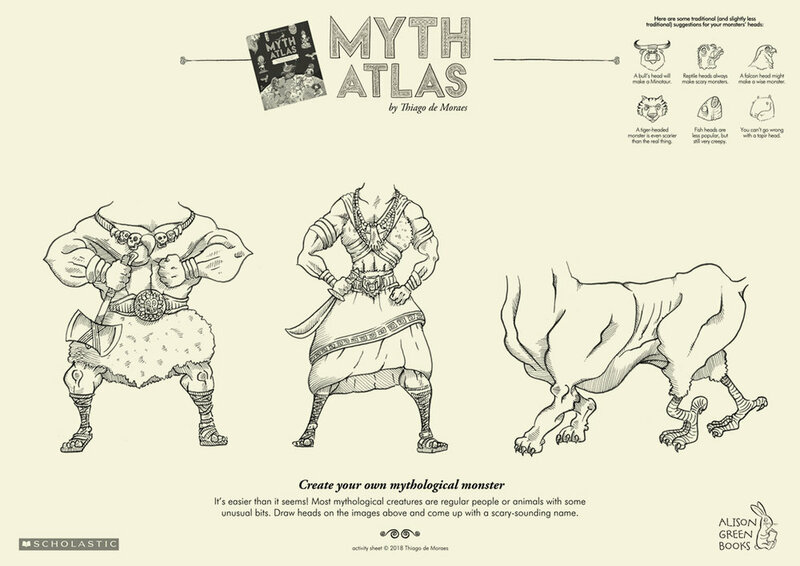 Here are some fun things to do with myths and legends. 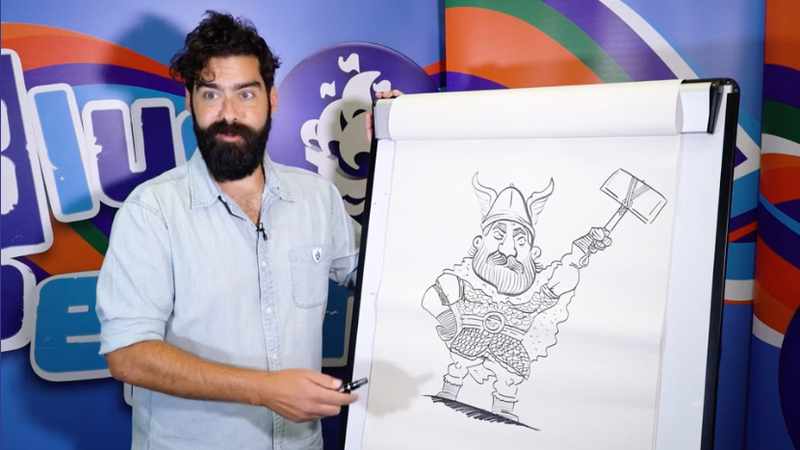 Cut our and dress (a very grumpy) Thor.